A brand new model for 2019 and on sale this year, the Volvo XC40 is the brand’s first compact SUV, slotted below the midsize XC60 and full-size XC90. 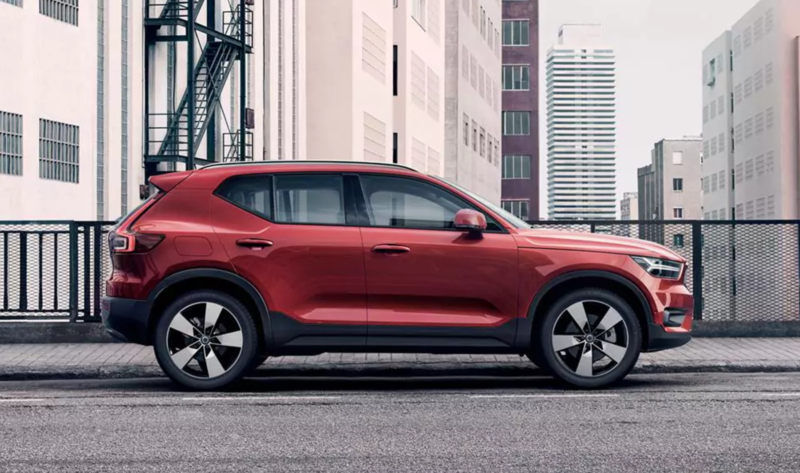 Much like the Lexus NX, the Volvo XC40 is designed to appeal to millennial shoppers as they gain more purchasing power. Styling is hip and modern, inside and out. Especially noteworthy is the optional Lava floor carpet option, more on that below. Prices start at an MSRP of $32,200. Coolest Feature: The optional panoramic moonroof lets natural light flood into the cabin. Summary: The XC40 takes all the expected Volvo qualities like understated style, ultra-comfortable seats and plenty of safety gear and boils it down to a smaller package. Did You Know? With the 2019 XC40 Volvo launched a new subscription model called Care By Volvo, whereby a consumer pays one monthly fee that covers the price of the car and insurance.